One of our international online classes. Anyone around the world can register and join from their computer in their own home. You can check the time Pende’s class will take place at your location here. The Buddha taught that all our experiences – whether happy or unhappy ones – originate in the mind with the intentions that motivate our actions. Whether our actions are proactive or reactive, they all involve the awareness of ourselves responding to our outer or inner environment. Consequently, our view of ourselves is crucial in determining the quality of our interactions and experiences. The Buddha identified a common flaw in how we view ourselves that leads to isolation, selfishness, other destructive emotions and unhappiness. Removing that flaw is the purpose of his teaching on the emptiness of that wrong view’s projection. Tubten Pende, a.k.a. Jim Dougherty, has been a practicing Buddhist since 1972 when he was introduced to Tibetan Buddhism in India. Pende was included in the first wave of FPMT’s Western Buddhist teachers. He was the coordinator of the Geshe Studies Program at Manjushri Institute in the UK; spiritual program coordinator, director, and later resident teacher at Nalanda Monastery in France; and an FPMT International Office Education Services program developer of the Masters Program at Istituto Lama Tzong Khapa in Italy. He is interested in the effective application of Buddhist theory and practice in the daily life of ordinary people. 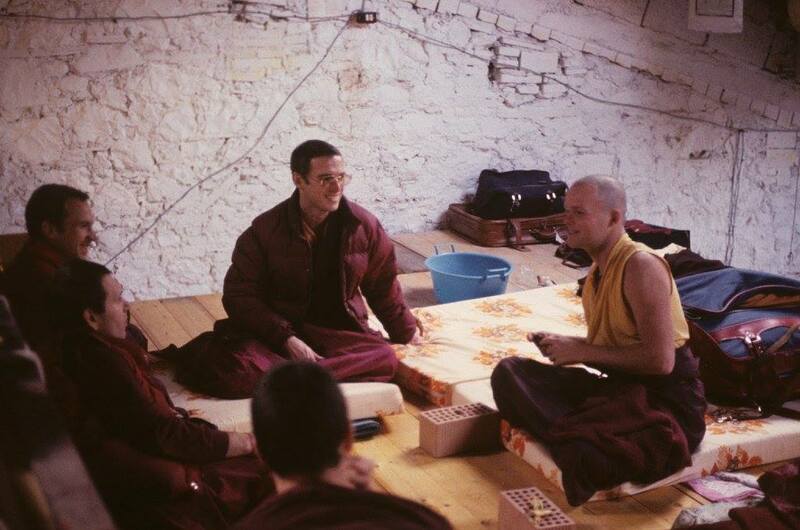 Former FPMT monks Tubten Pende, center, with Harry Sutton and others, including Helmut Hohm and Jimi Neal at our center in Pomaia, Istituto Lama Tzong Khapa, for the Six Yogas of Naropa, a three-week course/retreat, given by Lama Yeshe in 1982–83 to 150 students. Photo: Tubten Pende. 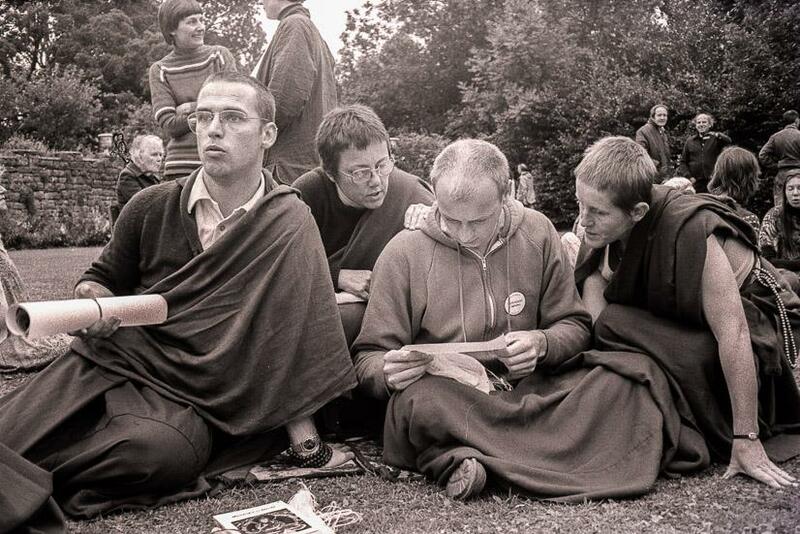 Photo: Geshe Program students Pende, Robina, Neil, and Olga, at FPMT’s Manjushri Institute in the UK in 1980. Lama Yeshe Wisdom Archive. 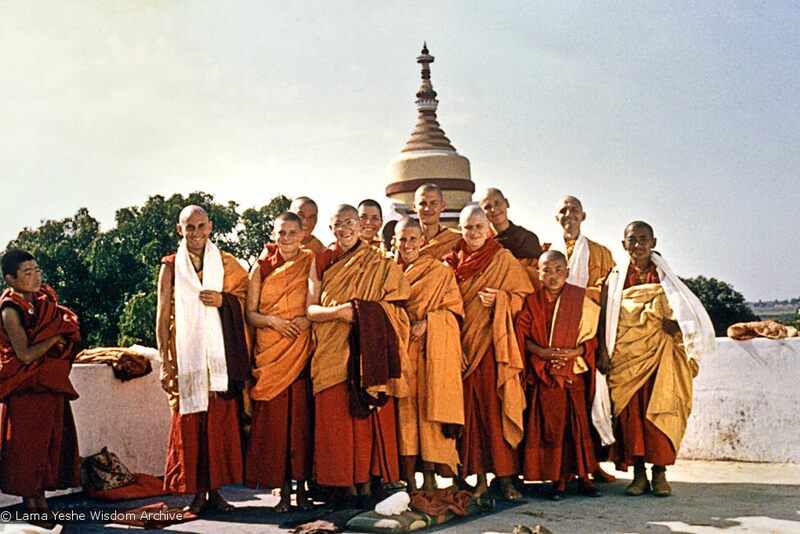 Photo from Lama Yeshe Wisdom Archive: A post-ordination photo of western Dharma students. Left to right: Nicholas Ribush, Yeshe Khadro, Tubten Pende, Nicole Couture, Thubten Pemo, Thubten Wongmo, Marcel Bertels, Debra Livingston, Ursula Bernis, Gareth Sparham, Ama-la (Lama Zopa Rinpoche’s mother), plus a couple of unknown young Tibetan nuns. Bodhgaya, India, 1974. You can check the time Pende’s class will take place at your location here. Timing is great for the West Coast of the US + Canada; Australia & New Zealand; Singapore, Malaysia and more. Photo: Gyalwa Gyatso Center, San Jose, CA.